Free Shipping within the 48 continental United States! Shopping cart will not calculate shipping charges for HI and AK. NATP representative will contact purchasers regarding shipping charges for HI and AK. Tax pros everywhere can benefit from the dynamic scanning that the DR-C240 scanner offers. It can be used to integrate information into digital workflows for process automation and information distribution, while helping to increase collaboration among individuals or workgroups. 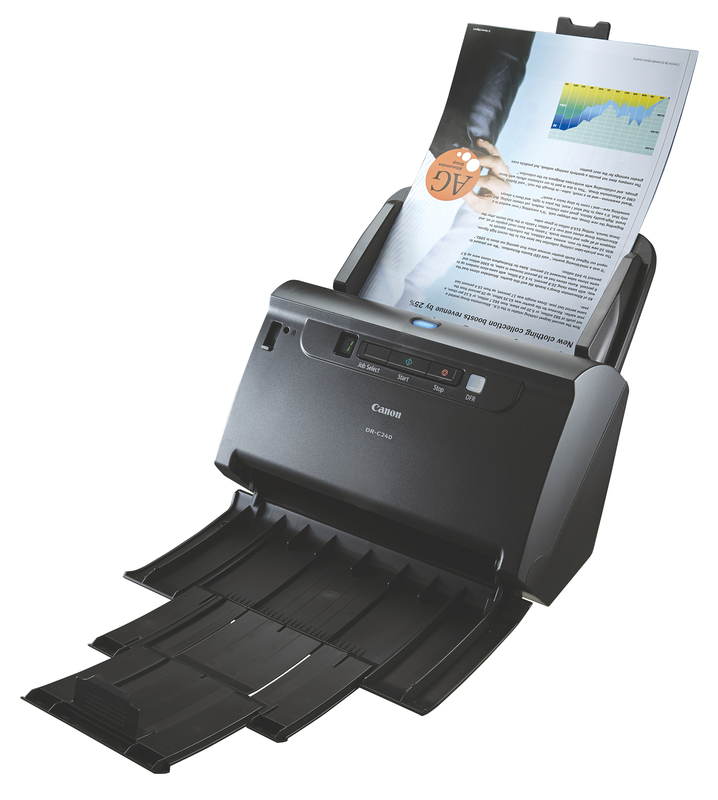 Help boost office efficiency and productivity with the user-friendly Canon imageFORMULA DR-C240 office document scanner. With its powerful document capture capabilities and dynamic ability to scan various document types like passports, this scanner can easily convert paper-based documents into high-quality, digital files for any office environment. Scans up to 45 ppm in B&W, grayscale, and up to 30 ppm in color - both sides of an item in a single pass. Handles a variety of document types including thick, thin or long documents, cards and passports. Holds up to 60 sheets. Document size: 2.0" - 8.5" width and 2.8" - 14.0" length. Scanner Size: 9.0"H x 11.4"W x 9.9"D with trays closed - 6.17 lbs.